You should not get surprised whenever you find a beginner angler learning how to use a spinning reel. 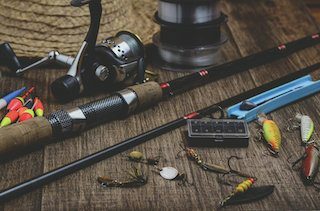 Every angler needs to know how to setup and make use of their spinning reel (That's if you have one) to make every fishing trip they embark upon successful. However, learning how to set up a spinning reel or use it can be daunting for beginners. I also had this experience when I started. But the exciting part is that I got used to it after using it for a period. So it is not an impossible thing to learn and get a high reward. Of course, the prize would reflect in your fish count. So without much ado, here are simple steps to follow when trying to set up or use your spinning reel. At this point, let's assume you know the types of fishing rods and reels. You have also acquired the right one. But remember that all rods and reels are not compatible with each other. In most cases, companies make rods that suit specific reel types. So when making a purchase, choose the types of fishing reels you know will fit the rod correctly. Learning how to set up a fishing line is easy. It is something you can do by just reading the instruction manual that came with the fishing tool. Here are some items I usually take with me alongside my spinning reel and rod. 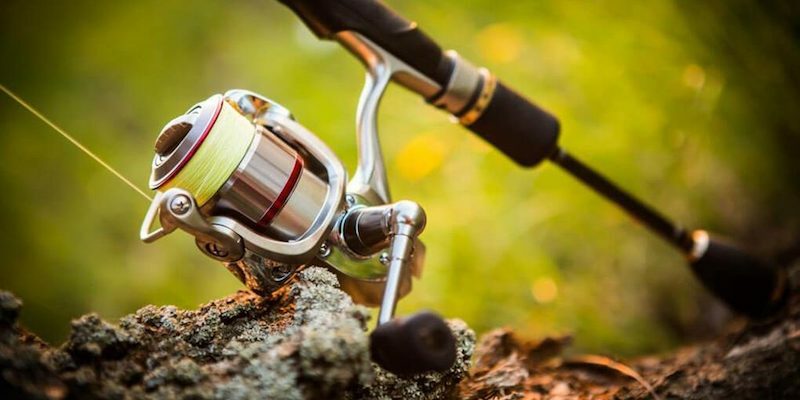 In fact, before you even consider learning how to use a spinning reel or setup, you need to familiarize yourself with the various parts of reel and rod. Watch videos if you can, or read the instruction manuals to know more that is after purchasing all you need. Anyway, to help you understand better, here is how to do my setup. I will advise you get to know the rod and fishing reel parts before you proceed. Then your next step would be to connect your fishing reel and rod together. To do this, ensure the seat of the reel is loosened. And place the foot of the reel into it. Ensure the foot of the reel enters correctly and tighten your reel seat and ensure it is done properly. Check if the reel is wobbling after you tighten it. If it is, it then means you have to repeat the process and make sure it does not wobble after concluding this section. You need to have patience when working on this part. It can be tricky, and even expert fish catchers run into problem sometimes. Here are a few steps. Open the reel’s bail and wrap the line firmly around your reel at least once. Tie a standard knot. You line will turn to two pieces around your reel. Tie another one again on the ones that are already there. Use your scissors to trim loose line to an acceptable height and close your bail. Make sure the line is held tight, that is a foot from that reel so there is no tangling, and continue to twist the reel to the point where the amount of line on it is satisfactory. Once you know how to set up a spinning reel and rod, and attach the lure, the next step would be to learn how to use a spinning reel. There are videos you can watch to get firsthand experience on how professional anglers are getting it right. As a beginner, you need patience and constant practice to master it. What you do every day, will become a part of you. If you are into flying rod instead, click here.